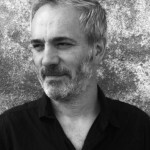 Josyane Franc is the Head of international affairs for the Cité du Design and Saint-Etienne School of Art and Design (ESADSE). Since 1989, she has been promoting ESADSE by organizing international exhibitions, seminars, special projects, development of partnerships with business and Azimuts, the school’s design review etc. She has set up an international network of exchanges among sixty institutions around the world for the ESADSE. 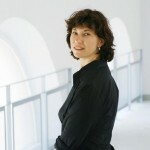 She was part of the founding committee of the International Design Biennial Saint-Etienne in 1998. She is the official representative of the Cité du Design and ESADSE in various international networks: ELIA, CUMULUS, BEDA, Design for all Europe, UNESCO Creative Cities, Centre Jacques Cartier and she coordinates their participation in numerous European and international collaborative projects. 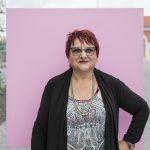 She has co-curated several international traveling exhibitions (French Year in Brazil 2009 ; Tallinn-Riga-Helsinki-Bratislava 2011-2012 ; Graz 2014 ; Gwangju 2015). She also co-curated and coordinated international exhibitions for the Saint-Etienne Biennial (EmpathiCITY in 2013 ; Seoul honour guest exhibition “Vitality, beyond Craft and Design in 2015 ; Detroit Guest City of Honour 2017 ). She led Saint-Etienne application towards the designation as UNESCO Creative City of Design, and she coordinates its activities since its adhesion in November 2010. 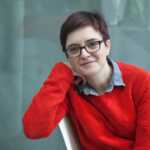 She is the Project coordinator for the European project Human Cities_ Challenging the City scale led by Cité du design for 2014-2018.